What are the best Nollywood movies app? You’re interested in that question because of what you have heard about Nollywood. Nollywood is the second biggest movies industry in the world in terms of output. That is massive considering that at a time Nollywood started gaining ground, movies industries like Bollywood and Hollywood are already established. The past ten years have seen a shift from the former crude movies that used to define Nollywood to the classic movies of today. Before now when you want to watch Nollywood, you would need to have a video player or a disk player possibly CD player or rarely DVD player to watch it. There you have a massive market of CD retailers and rentals. When renting you’re required to return it on time. Except you have a generator, you might waste your money on renting. Don’t forget this is Nigeria. But with the decline of CD players, more viewers are using satellite to watch programmes. This led some movie producers to team up with some satellite movie channels. There became a lot of channels dedicated to showing Nigerian movies. But with the proliferation of smartphones and with people more on the go with their smartphones some companies developed apps that one can view Nollywood movies on. This article would compare some of the best Nollywood movies app. You would pick the one that interest you most. There are many Nollywood movies apps. Some are bloated, have no good use. The developers primarily made it so they can make money from it. There are yet others that do crash, especially when you’re in the middle of an interesting movie. A good app should be useful and stable. That is the most important thing an app should have. Let’s see the best apps for Nollywood movies in Nigeria. There are five popular Nollywood movies apps in Nigeria. They are listed in no particular order. The major reason why they are popular is because users have given good reviews of the apps and beside we have tested them and know that they are worth it. We would pass this apps through some various conditions and you would be the one to decide which app is just right for you. A good app should have a design that makes a user not to cry while using the app. No matter how you try to say it, if an app design is not clean, it would be hard for you to do what you want to do with the app. Except there are no alternatives for you to choose from, you would be stuck with that app that have a shabby design. Of the five apps mentioned above, iROKOtv and AfriNolly have the cleanest design. They are so easy to use and it is beautiful. NollyLand also have a very good design, same as Video Moja. Ibaka TV interface is not too clean compared to the others. One thing worth knowing is that they all have good design. Another factor one should consider when using an app is the cost of using it. You would not download an app to watch Nollywood movies and your pocket would be suffering for it. Some of the developers of the app know the current political reality in the nation and have decided to reduce it by pricing the app moderately. When using cost as a factor to measure which of the apps is the best, Video Moja stand out as you can watch trending Nollywood movies for free. Despite being free, more Nollywood movies are added weekly so you would always have a movie to watch. Other apps allow you watch preview also called trailer of a movie before commiting to watching it. But that preview is really not necessary. Because once you join the apps you don’t pay per movie basis but by period of usage that is you pay for a day, month or year. You would not want an app that is not available on certain platforms. For instance, if you use an iOS device, you would want your app of choice to be available in the iOS platform. You can’t use an Android or Windows Mobile app on your iPhone or iPad. Vice versa if you’re using an Android or Windows Mobile device. A good app should be available for major devices. Sometimes you might want to watch movies on a bigger device for instance your computer. You might want to use the app on the computer, but only get told that it is only available for mobile devices. That is sad. Most of the Nollywood movie apps allow you to watch on a variety of devices. AfriNolly supports all the major platforms including Java devices and web for Desktops and Laptops. Ibaka TV is available for mobile devices. 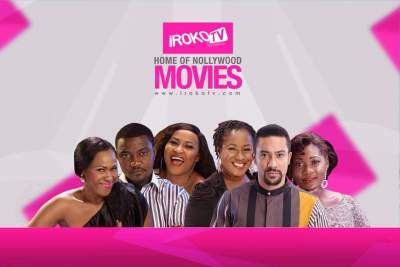 iROKOtv is available for Android, iOS and web version for use on your computer. NollyLand is available for all devices except Symbian OS and Java devices, NollyLand also help you cast your movie to your television with Chromecast or any device that work with Google Cast. Video Moja is available on both mobile and web. You can use it whether you’re with your phone or you’re using your computer. A good app should work in a way that it is free from distraction. The most apps mentioned here are free from distractions. Even the ones that rely on apps to generate revenue still keep the interface free from distractions. Instability is also a distraction. Many of the Nollywood movies app producers made good homework to ensure that the app is stable without crashing. Now you have seen the apps classified on various areas to see the one that is the best Nollywood movies app. If you care for cost, you can go for Video Moja as it is free. If you care for overall user experience, you should go for AfriNolly or Irokotv. At the end, there is no best app. It is how your viewpoint that matters.